Among the sheaf of case papers on Grover’s desk are the near-identical statements of four star prosecution witnesses, labour contractors who between them criminally implicated nearly 90 workers, not one of whom they were able to identify in court. Collectively, the statements seem to advance a unique proposition: that the mob organised itself in alphabetical order. Guilt or innocence will, of course, be decided in court. Defence evidence is currently being presented, and final arguments are expected to begin in a month or two. But prospective employers seem to have made up their minds. Those out on bail, and even those merely dismissed by the company, are being turned away by carmakers, by automobile component makers and by employers in the informal sector. These are workers with ITI diplomas and, in most cases, significant work experience. But even as “skilling” is nationally valourised, being skilled appears to provide no advantage if you carry the Maruti-Manesar taint. Maruti Suzuki did not respond to questions from Business Standard on the case and the situation of its former workers. But those with families to feed took up modest jobs that they found hard to hold down because of the frequency of court hearings. Sharma, a trained plastic processing operator with six years of experience, became a salesman. Pradeep Kumar, after seven years at Maruti, became a security guard. Kanwarjit Singh, with a three-year diploma in die and tool making, now works for a courier company. Several of those waiting on concrete benches dressed in the uniform of urban youth are the sons of modest rural workers: tailors, masons, security guards at agricultural warehouses. It is clear from the police chargesheet, which astonishingly lists castes next to names, that quite a few are from socially vulnerable communities. Most seem to belong to families with a few bighas of land, or none. They all tell near-identical stories of enrolling at ITIs to escape rural stagnation but many are now staring it in the face. Conversely, Rajesh (not his real name) lives in Gurgaon, but has no hearings to attend. When the police arrived at workers’ tenements shortly after the Manesar violence, and took them away for “enquires” that later turned into arrests, he took to his heels. Named as an absconder, he now leads a below-the- radar existence as an auto-rickshaw driver. He wears a nondescript kurta-pyjama with a gamchha (cloth towel) slung around his neck. When he meets his family, he does so stealthily. “I managed to send a few thousand rupees home every month when the others were rotting in jail,” he says. “My brother is studying at an ITI, my sister has to be married.” His own engagement was called off, he mentions in passing, before the end of July 2012. “We have an office near the district courts, given to us by our lawyer,” says Ram Niwas, a member of the provisional committee of the Manesar plant’s sacked workers. The office turns out to be a tin shed in a rabbit-warren of notary publics’ offices and shops, its few occupants instantly recognisable from The Factory. They are among a clutch of exceptionally articulate explainers of the larger story told in Roy’s film, of a worker’s movement at the plant from 2011, to register an independent union, to protest a punishing shop floor culture and end wage discrimination between permanent and contract workers. Roy emphasises that when he began filming in July 2013 (until July 2014) , the ex-workers had their backs to the wall. Their union leaders were in jail, their movement had peaked and there were “no grand victories on the horizon”. The word “sacrifice” is telling, however. The draining effect of a drawn out battle, in the criminal courts, and a parallel one, in the labour courts over the mass dismissals, is hard to miss. Most members of the committee have dropped off because of “family pressures”. 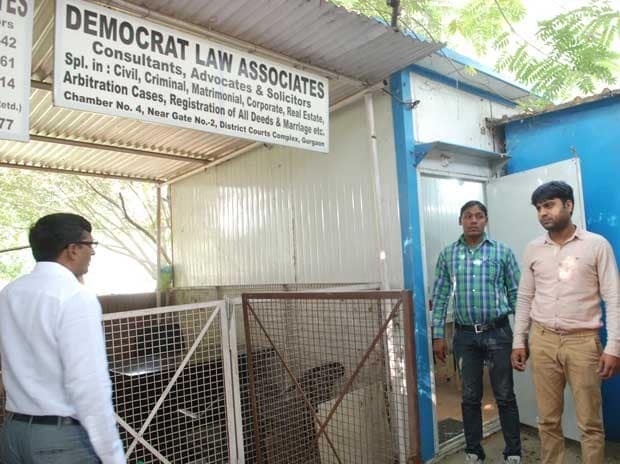 Those that remain are cash-strapped, even if they have been able to raise contributions for legal expenses through the workers’ union at Manesar. Ram Niwas, for example, largely manages on Rs 7,000 a month, paid to him by a worker’s cooperative. 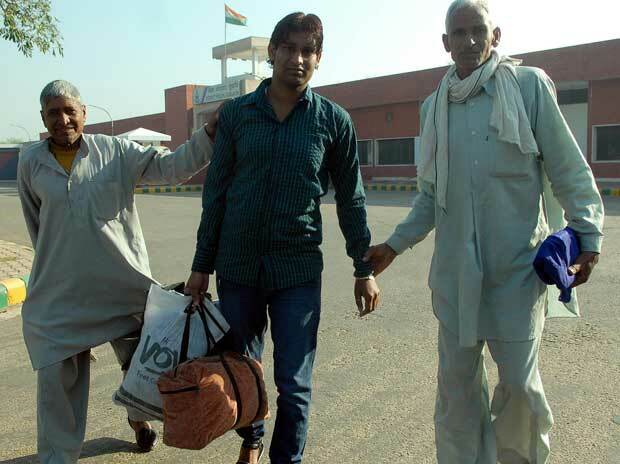 His wife and children have left Gurgaon for their village in Kaithal district in Haryana. While they live in the ancestral joint family home, they eat separately, because other family members object to his continued involvement with the Maruti-Manesar case. Sunil Kaushik, an arresting presence in Roy’s film, with his sharp explanations, accompanied by charts and drawings, of the layout, assembly line and working conditions at the plant, has quit the committee. “I gave my time to this struggle to clear our names, but I could not do it indefinitely,” he explains on the phone from Rohtak. The mood is lighter in a one-room home in Gurgaon, where Sushma, another striking face from Roy’s film, finally has her husband, Sohanlal, by her side. In the film, the vulnerable yet poised young woman takes up work as a data entry clerk after her husband is jailed, rather than go home to her parents. Looking back, now, she says: “I couldn’t have managed for nearly three years without the support system created by the committee. For three days after he was taken away, I had no idea where he was locked up, I had no money to fight the legal case, I had never visited a jail.” Sohanlal, 30, sitting on the bedspread with the cartoon characters, shows you his unused Casio watch, awarded for good work at Manesar, and his trophies for inter-departmental cricket. He expects his name will be cleared, but wonders whether his career can ever recover from the lost years at Bhondsi. Yet, he is one of the lucky ones. 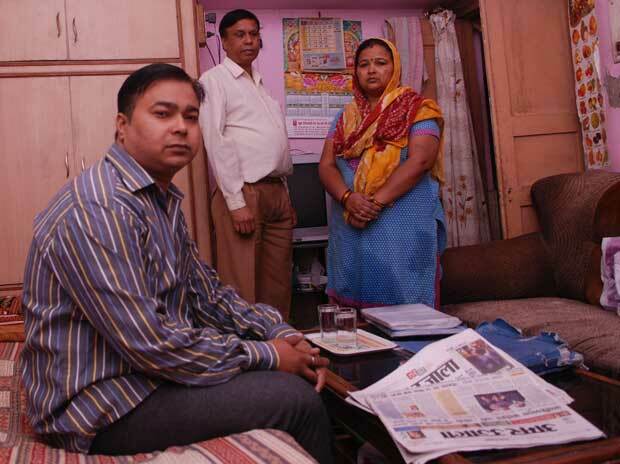 He has a workplace to go to, a wedding banquet hall, where he handles petty administration for Rs10,000 per month.